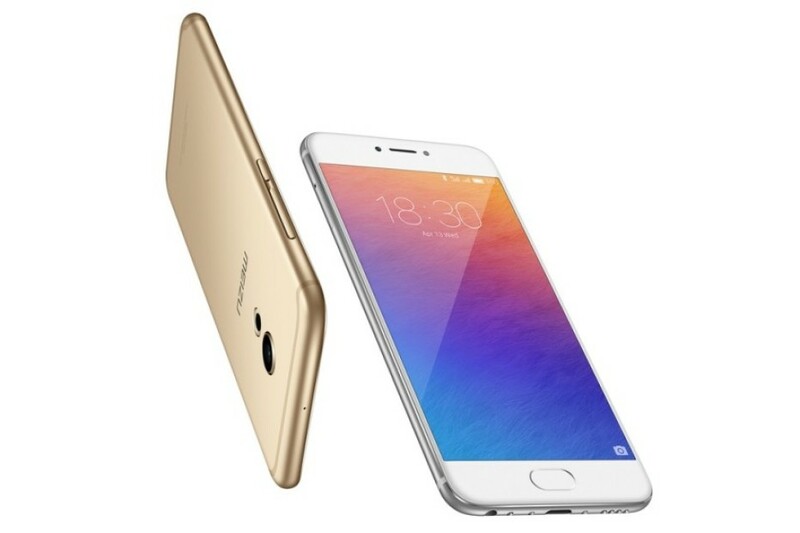 The Chinese smartphone maker Meizu has announced its new flagship smartphone – the Meizu Pro 6. The new device will be the company’s best smartphone for year 2016, given that Meizu does not decide to release an even better smartphone later this year. In addition to this and despite its flagship status the Meizu Pro 6 will not break the bank, which makes this device an even more interesting offer. The new smartphone comes with a 2.5D 5.2-inch display that features Super AMOLED technology and Full HD resolution (1920 x 1080 pixels). Inside the smartphone has a 10-core MediaTek Helio X25 processor, which is a faster version of the Helio X20 chip, 4 GB of RAM and 32 GB or 64 GB of internal memory, depending on the version. An interesting fact is that the Meizu Pro 6 comes with LPDDR3 and eMMC 5.1 memory, while the older Pro 5 model has LPDDR4 and UFS 2.0 internal memory. In the back the Meizu Pro 6 has a 21 MP rear camera with a Sony IMX230 sensor, which is the same seen in the Meizu Pro 5 smartphone, but the new Meizu model comes with an improved LED flash and laser autofocus. The front camera has 5 MP of sensitivity. The battery, however, is not the most powerful we have seen with its 2560 mAh but fortunately it supports the mCharge 3.0 quick charging technology, which allows users to fully charge their Meizu Pro 6 smartphone in one hour only and up to 25 per cent in just 15 minutes. But this is not everything – the new smartphone has a USB Type-C port and 3D Press technology, which recognizes the pressure the display feels when being used as well as high-quality sound hardware – Cirrus Logic CS43L3 – and Sensor Hub, which processes all the information, which comes from the numerous sensors the Meizu Pro 6 is equipped with. The new Meizu Pro 6 smartphone measures 147.7 x 70.8 x 7.25 mm and weighs 160 grams. The device, which is available in black, gray and gold colors, runs Android 6.0 Marshmallow with the Flyme OS user’s interface and sells for USD 385 (32 GB of internal memory) or USD 435 (64 GB of internal memory).